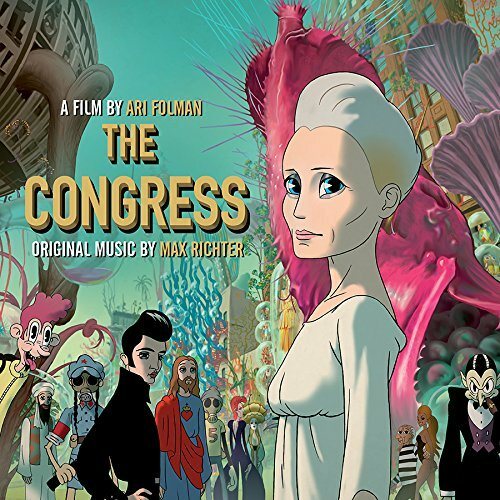 Milan Records vinyl pressing of Max Richter’s soundtrack to Ari Folman’s sci-fi film The Congress. Release date: July 22, 2014. The Congress, starring Robin Wright and based on the novel The Futurological Congress: From the Memoirs of Ijon Tichy by Stanislaw Lem, tells the story of an aging actress with a disabled child who agrees to a large payment to have a full body imaging that will be digitized to create a digital actress controlled by the studio. The film features a beautiful score by Max Richter and inventive versions of “Forever Young” and “If It Be Your Will” performed by Robin Wright. Richter’s score is nothing short of breathtaking, evoking the deep and consequential events the film portrays! This is a must have vinyl soundtrack.